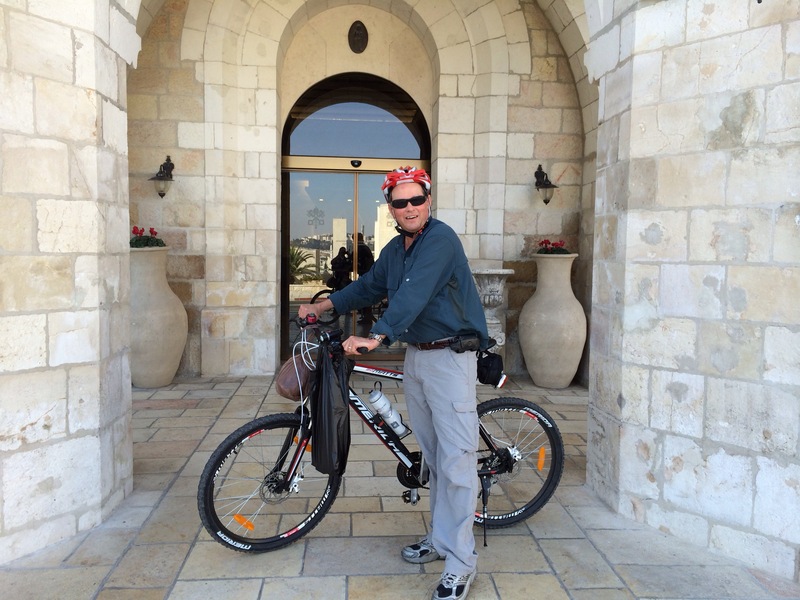 On our last day in Jerusalem last week Janet suggested I ride my bike to Bethlehem which I did. Getting old you know, and I need to keep up my health with physical exercise. 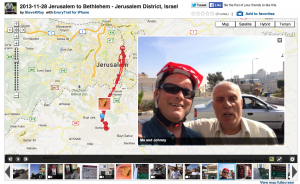 Bethlehem is surrounded by a 28 foot concrete wall with only a few “gates” or checkpoints. 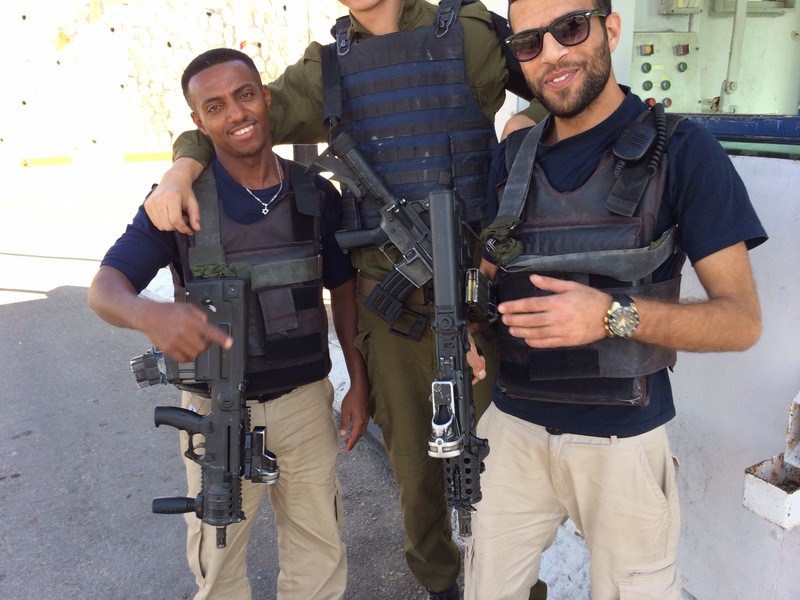 Wasn’t sure how the Israeli soldiers would react to me riding my bike up to the gate along with the cars and buses. It was no sweat going in or out, in fact, I had a good time with the young soldiers. My American passport is worth gold in other countries and I can go places the locals cannot. Interesting riding my bike thru the wall’s checkpoint. Had a good time visiting friends in Bethlehem and very familiar places where we take our pilgrims. Lots of hills here which insures a good cardiovascular workout. Enjoyed visiting with the Palestinian Christians, many of them my friends for over ten years. Loved it! Enjoy the adventure! Previous post: What to Get for Christmas? Buy Verbum and Change Someone’s Life!